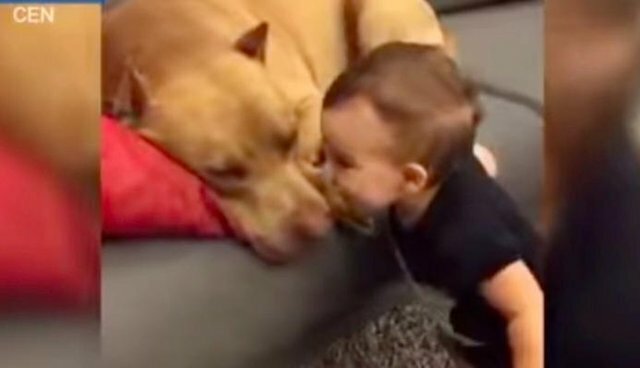 Dogs and babies make for the cutest pairs - and this sleepy pit bull and his lovey little human are no different. 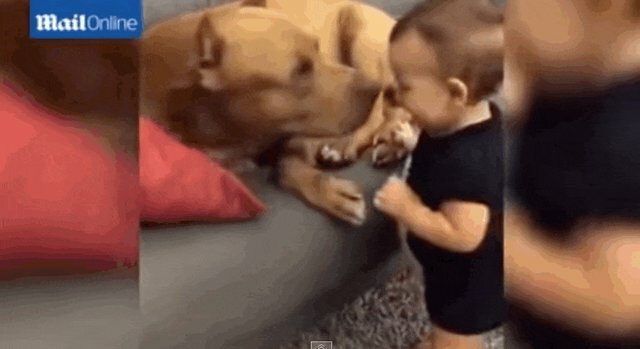 While the baby's parents look on, he toddles over to kiss the dozing dog right on his wet nose. The doggie wakes right up ... and returns the sneak kiss attack! "Hello little human! I love you too." 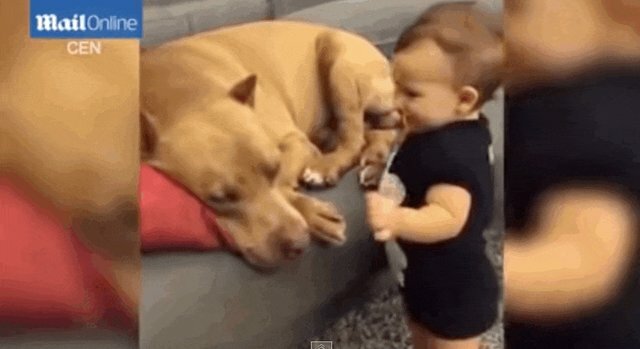 This video, uploaded earlier this year and now making the rounds, is a perfect example of theadorable relationship a dog and his little human baby can share (with the right supervision, of course - not all dogs like to be woken up, even by the sweetest kiss). Dogs sometimes even take on the role of another mom or dad, snuggling up to babies or looking out for them while they explore.